It was MY evening! I am so happy! Since Saturday a couple of things happened - of personal nature, of future nature and and and! 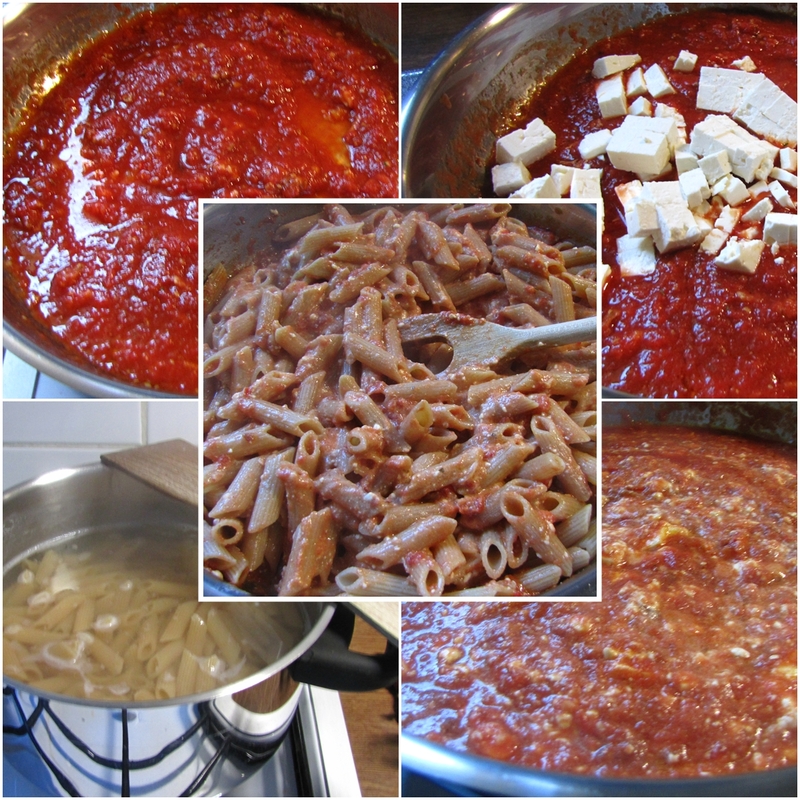 I decided to have a celebration and cooked my favourite dish: feta pasta. Easy easy easy. This recipe was my invention. Just cook the pasta. 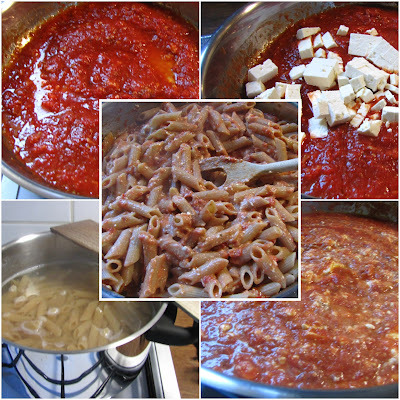 Meanwhile make the sauce out of a can of crushed tomatoes, herbs and spices, garlic and a piece of feta. Stew it for the while and add the pasta. I thing I've posted this recipe before. So, my supper was delicious and because of the things I wanted to celebrate I "killed" a bottle of sparkling wine (oh it was strong...). 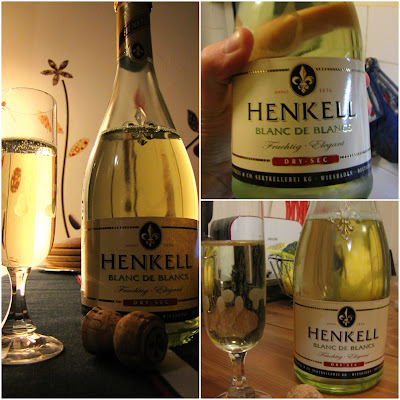 I went patriotic and bought a Henkell which comes from the winery located in our poshy and beautiful state capital Wiesbaden (Wikipedia). And believe me, Wiesbaden is really a great spa town where Romans, kings and earls and the polite and high society of the 19th century came for holidays. Long story short: I had reasons to be happy and to be proud of myself and I decided to say a good health on myself. So PROST! - CHEERS! for my future!